Well this officially begins my attempt at a running journal on my adventures and happenings while adjusting to life in Santa Fe, NM. We have been here now for nearly 4 weeks. So far the family and I have been looking for a home (which we found) and trying to figure out how to do life here. It is certainly different than what we are used to in St. Louis. Or the South. Or anywhere we can imagine. In some ways it feels like living in a Croatian village – except where you nearly get run down by Aston Martins down tiny little side streets or you meet a guy who played a speaking part in Lethal Weapon 2 (very small role) and doubles as Josh Brolin’s stunt guy. So far our favorite time of day is twilight – and its not because we both like the Stephanie Meyer novels (hey, read them then you can give me a hard time about it) – but because it is absolutely gorgeous. 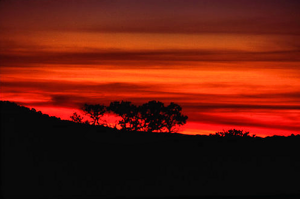 The colors of the sunset mixed with the otherwise semi-desolate look of brown sand and sandy green bushes (not trees) as they come over and around the mountains are breathtaking. There are times where the clouds look surreal and almost as if God took his hand and accidentally brushed it against them giving them an abstract painting quality to the otherwise pristine cloud formations in the sky. So far we both have said that it reminds us of South Africa. The people are a dichotomy. Sometimes overboard nice; other times extremely rude. Maggie says it reminds her of New Yorkers but I disagree. I have spent some time in New York (Manhattan at least) and I did not once meet a “rude” person. I met lots of focused and preoccupied people who looked like they didn’t want to bothered but when you asked a question of needed something they were more than happy to help. Not here. Even if your job depends on it you may not meet a nice person here – at least not in most of the service industries. Even though that’ a gross oversimplification it is the initial impression though we have received. To be fair, we have met lots of great people out and about, but the overall flavor has been one of mild interest, at best. The reason we moved here was the church. It really is a great place. It’s a great place to land right out of seminary for sure. I continue to be thankful that God led us here and that I am getting to learn from a guy like Martin Ban. He seems to be the real deal. A seasoned church planter, with lots of experience and lots of wisdom to impart. Not only that but he is willing and eager to impart it. I have met lots of guys who probably have similar experience and wisdom, but don’t see it as their role or place to give it. Martin on the other hand sees it so much that he created this position of Pastoral Intern it seems for the sole purpose, and I am grateful for that. 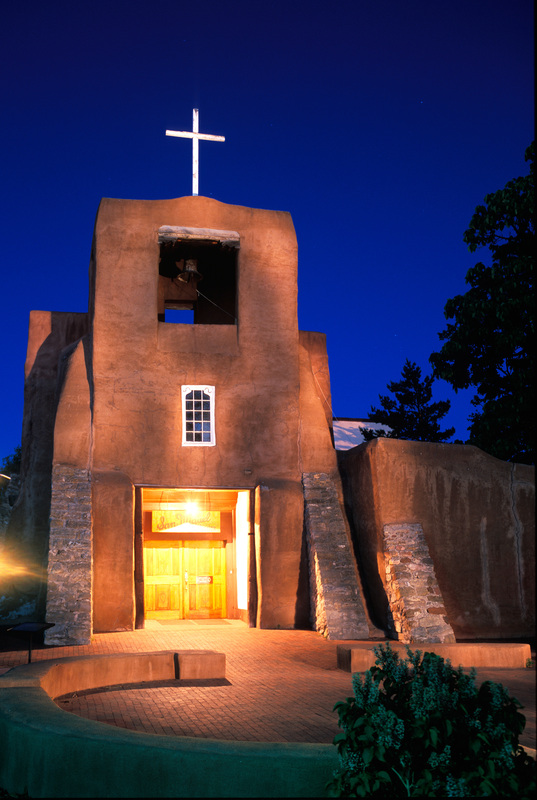 The people at Christ Church Santa Fe are incredible. I have been serving as the pastor now for 3 weeks I would say nad it has been an adventure. I have found myself in the midst of counseling appointments, staff meetings, benevolence requests and several other meetings with folks from Christ Church SF. And I have appreciated it. I have been getting a flavor of what it means to be a pastor. I’ve even been able to preach which was amazing. So far people seem to really like us and are excited about us being here. We hope that lasts a long time. We have loved everyone we have met and look forward to getting to know them better, as well as more people. Now, the real reason why I wanted to write this journal. Martin tasked me with two things to do these next few weeks of settling into life and ministry in Santa Fe. One is to read two books. 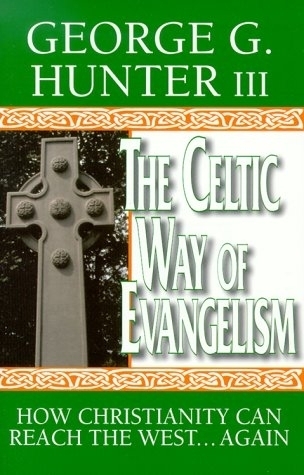 The one I am working on now is The Celtic Way of Evangelism by George Hunter. I will be posting some thoughts on this book via my blog later. Perhaps a few highlights from each day or reading. First stop – The Santa Fe Post Office. Probably not a place I will go regularly to make it my 3rd place. There was one guy working the counter for 15 of us waiting around. Needless to say, that won’t be the best place of a healthy “witness” on my part. Second stop – Downtown Subscription. It’s a local coffee shop off the beaten path but still close to the action of downtown. I like the look and feel. Kind of like a Chipotle turned coffee shop and magazine stand. I ordered a sandwich that was way overpriced and not very good (Chicken Curry sandwich). The person at the counter wasn’t very friendly, or helpful. I asked her for her opinion about a good sandwich and I basically got a “whatever” answer and look. I ate my sandwich, finished my chapter in the book and left. The positives – it looked like a place where people hang out, and the parking was free. The negatives – not good food, and not the friendliest of service. Chances of it being a regular third place – at this point I’d say 50/50. I need to give it another shot. Third stop – Ecco Espresso & Gelato. Its another local coffee shop this time closer to the heart of the action. Its on Marcy St. and I kind of like the vibe. Free wireless so there’s a few Mac-dudes here (I am one of them by the way) working on “stuff.” There’s a few touristy types popping in and out, but for the most part its largely locals. It doesn’t seem like people are here to socialize though. I wonder what it would be if I had regular meetings here; would it be distracting and disconcerting for folks who frequent this joint, would it be kosher? This might be a good place to come when I need some focus work time. I will have to watch out for the Gelato – it looks good and probably not the most helpful for my waistline or losing weight efforts. On the upswing, the service was great. The guys making my Vanilla Latte actually engaged me in conversation. And he made the nice frothy milk-looks-like-a-leaf-in-my-latte, so he definitely has a Linchpin approach to his trade. I like that. A lot. The positives – great service, great coffee, and otherwise “cool” environment to work on stuff. The negatives – may be an awkward place to meet people or have general conversations and no free parking. Chances of it being a regular third place – I’d say 70/30. The book The Celtic Way of Evangelism so far is great. Like I said I will have to post some regular reflections at a later time. So far, one thing I have benefited form while reading it is the difference between Roman and Celtic Christianity in regards to the approach of mission. According to Hunter, the Roman model of Christianity saw mission as having a dual focus. One obviously being to convert pagans to Christ. But the other was to civilize them into Roman culture. The thought process went that a Barbarian (i.e. pagan, non-Roman) had to have a certain measure of civility in order to comprehend and embrace the Christian gospel. The problem comes in when you define civility. The Romans thought that meant you read and spoke Latin. There was more for sure, but that right there is a huge hurdle to overcome. In addition to language, one had to behave a certain way, dress a certain way, live and do life a certain way. Only when a Barabrian could do those things, would it then be appropriate to talk about Jesus. The Celtic way stood apart from that. Rather than see the missionary task of civilizing another country, St. Patrick and his missionary entourage embraced and loved their Celtic mission field and saw that the gospel could go forth and convert an entire nation, while embracing and utilizing its own cultural forms and norms. Where do we today try to civilize others either before, or in order, for them to hear and be receptive to the gospel?